The official ELMS test session kicked off under grey but unthreatening skies at bang on 9am with Oli Webb first out in the reigning championship winning Signatech Alpine-Nissan. The 37 car entry list was a moveable feast right up until the drivers briefing. One of the last names to be confirmed was Chinese racer, Adderley Fong, at Pegasus Racing. The 24 year old is actually being evaluated by an as yet un-named team for the Le Mans 24 Hours. 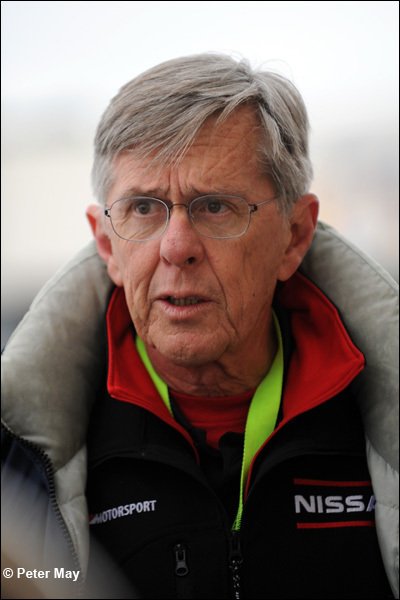 “The team put me in touch with Pegasus so they can see how I fair for a potential drive at Le Mans this year,” said the former GP3 racer. 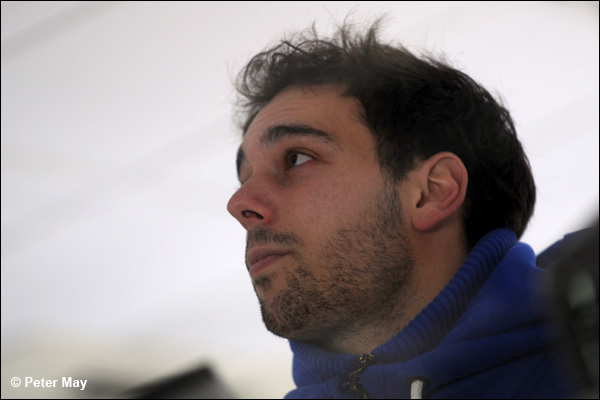 “I did a few laps when ORECA were to trying to sell their LMP2 car in China last year. Other than that I raced an Audi R8 LMS last season and won the Audi R8 LMP Cup in Asia. 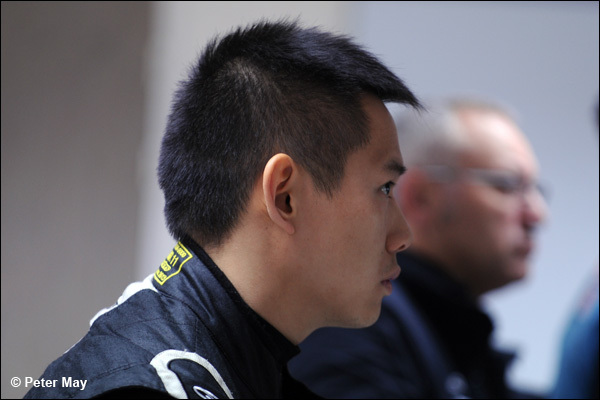 Fong will get all his laps today as he flies back for an Audi R8 test at Zhuhai tomorrow. One of the key stories pre-test has been the influx of GP2 and GP3 talent in to the ELMS teams. Following on from Sam Bird and James Calado’s long-term career views in FIA WEC, Rodolfo Gonzalez, Nathanael Berthon and Dillon Battistini have joined the good ship Murphy Prototypes at Paul Ricard. Gonzalez was actually in attendance at last year’s test but instead of a sportscar campaign committed to an F1 test role at the Marussia team. 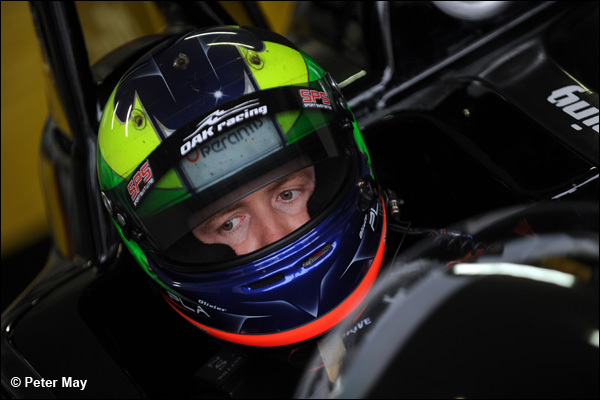 For 2014 though the man from Caracas has joined his old Formula Ford sparring partner Greg Murphy for a full ELMS and Le Mans 24 Hours attack. 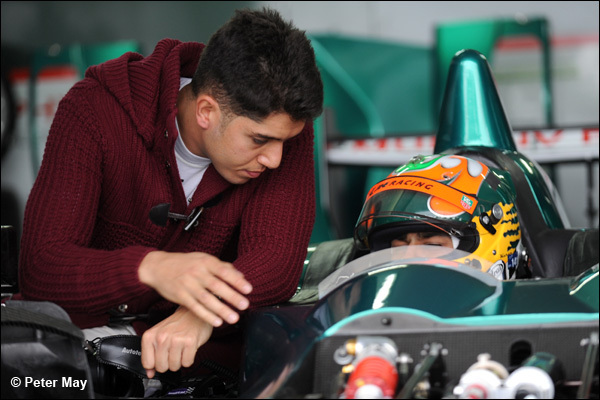 Chandhok did the initial running in the metallic green Oreca-Nissan before Gonzalez got his first laps. The Venezuelan’s only previous sports car experience was at the 2012 Dubai 24 Hours with a Mercedes SLS AMG GT3. Nathanael Berthon was watching on from the back of the Murphy garage and was eager to get his sportscar career going. The Frenchman has had a long single-seater career taking in World Series by Renault, GP3 and GP2. 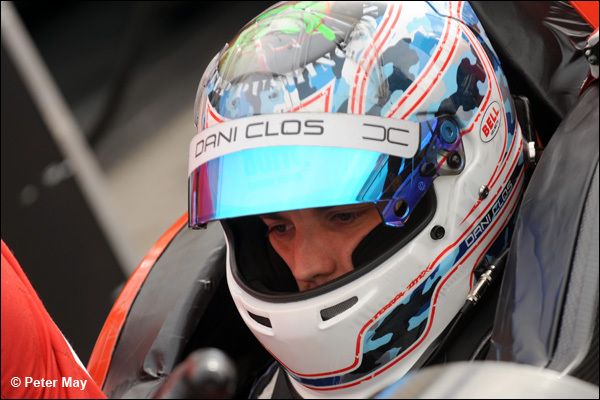 Another former GP2 driver in attendance at Paul Ricard this week is Dani Clos. 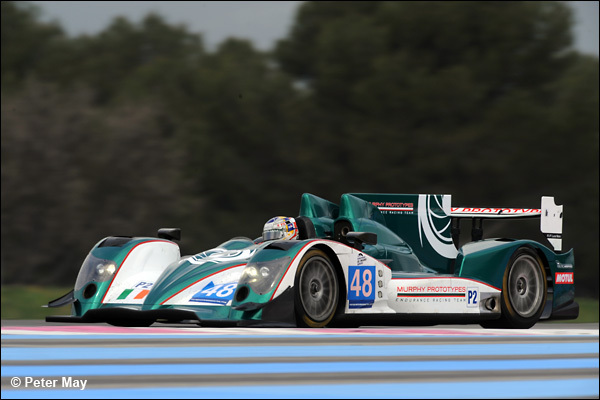 The Spaniard who tested the HRT F1 car back in 2011 is taking his LMP2 bow with Race Performance. The Swiss team are sporting a new red and black livery this weekend with significant Momo sponsorship. Current GP2 racer Jon Lancaster has also been drafted in to the Race Performance squad but could also drive with the Greaves Motorsport team for whom he drove at the FIA WEC finale at Bahrain. Of other interest in the entry list was Olivier Pla driving for the Larbre Competition team in their Morgan-Judd. The 2009 LMP2 champion was getting the initial running in before Jacques Nicolet got behind the wheel. Keiko Ihara will also drive the car during the test days, the Japanese racer pairing up again with Nicolet after four races together in the OAK Morgan-Nissan last season. There will be much more from Greaves Motorsport later on but the teams engineering duo of Riccardo Davila and Peter Weston were deep in discussion before the opening of the test planning their programme. “They say policeman are getting younger but look at the racing drivers. Bloody hell!” commented Davila, as 16 year old Matthew McMurry was preparing himself in the cockpit. 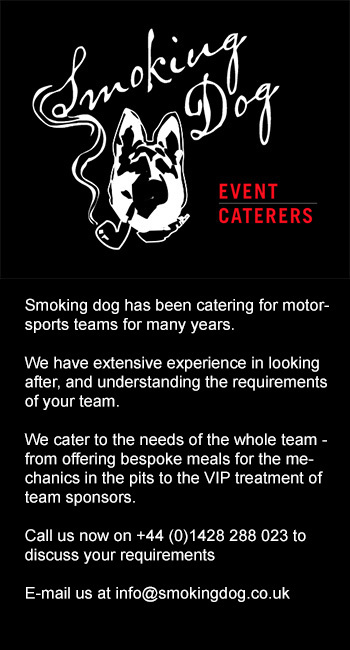 “It is amazing but fair play to these kids because as we have seen in the GT Academy they can get a very good job done. Tom Kimber-Smith was out in the early running in the #41 Greaves Zytek-Nissan, while James Littlejohn and Tony Wells continued their LMP2 evaluation in the #28 chassis. 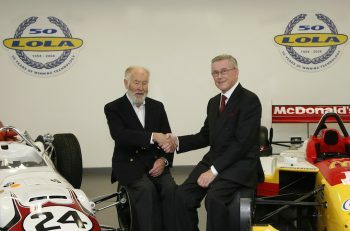 Littlejohn, an instructor at Silverstone was the 2012 Radical SR8 champion along with his team mate Wells, who’s construction business is currently busy refurbishing Harrods! 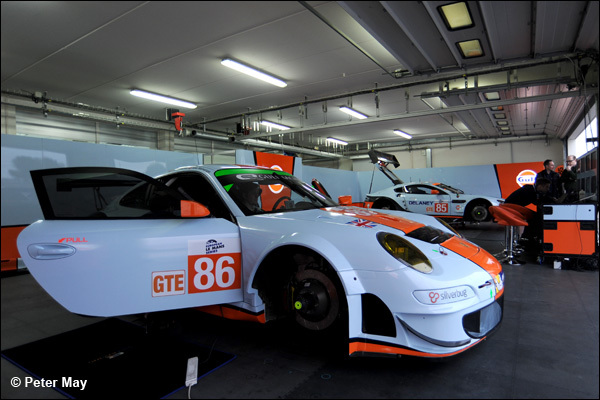 The Gulf Racing UK team are in attendance with a Porsche 911 GT3 RSR and an Aston Martin Vantage V8. 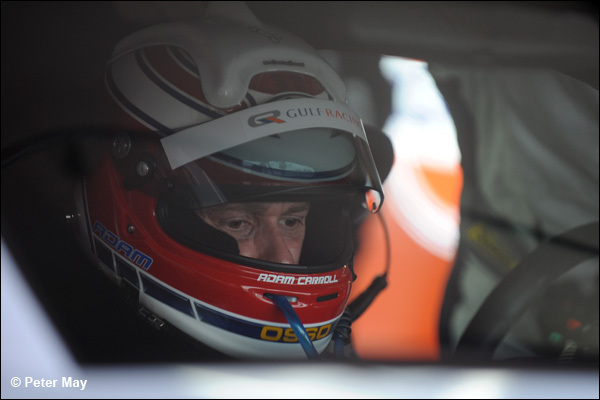 Adam Carroll is being joined by Ryan Cullen in the #86 Gulf Porsche and the Ulsterman is relishing the prospect of attacking in his new duck-egg blue and orange mount. Two hours in to the session the Signatech Alpine-Nissan had set the fastest lap of 1m49.539s with Nelson Panciatici setting the time. However, the Same car, but now in the hands of Paul-Loup Chatin then caused the first red flag of the test at Turn 11 when he hit the guardrail in avoidance of a wayward GT car. He stepped from the damaged car unaided.